One of the most striking cinema facades in the city (especially at night when it's all illuminated in startling red and white), the dinky Screen on the Green venue has a prime location on Upper Street just opposite the green from which it gets its name. It's one of the oldest cinemas in the country, first opening way back in 1910, and - while small inside - it provides a great cinema experience. There are inviting sofas made for two and a bar menu that allows you to enjoy waiter service from your cinema seats. Choose from antipasti, pizza, tortilla chips with guacamole as well as a selection of gourmet nuts, wasabi peas and chilli bites. Offering something different from your standard pic n mix, there's retro candy, honeycomb bites and malt balls to feast on, all washed down with a wine, beer, cocktail or hot drink. This is the perfect date night destination. 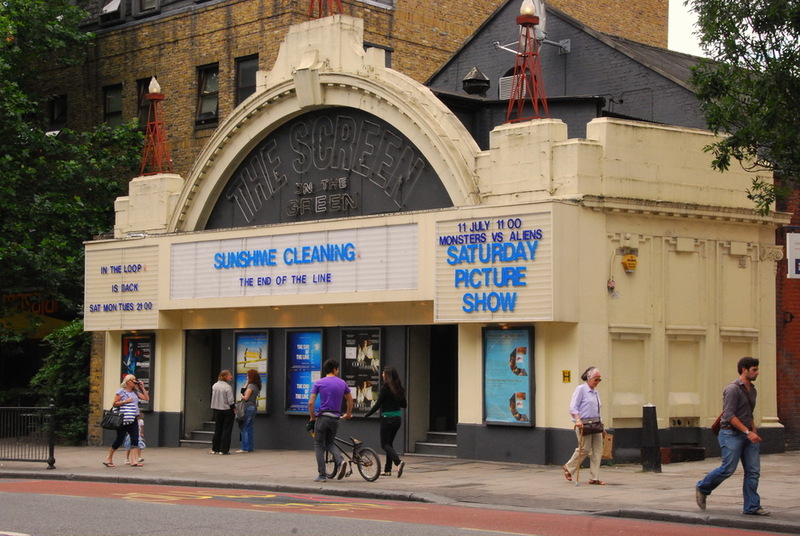 What are the best dining options near The Screen on the Green London? The Screen on the Green gyms, sporting activities, health & beauty and fitness. The best pubs near London The Screen on the Green. The Screen on the Green clubs, bars, cabaret nights, casinos and interesting nightlife. Where to have your meeting, conference, exhibition, private dining or training course near The Screen on the Green. From cheap budget hotels to luxury 5 star hotels see our discounts for The Screen on the Green hotels, including Hilton London Islington Hotel from 88% off.